Central West Lachlan Landcare work in the two shire areas of Parkes and Forbes, which crosses into two catchments, the Lachlan and Bogan – Macquarie, covering an area of 720,000ha. I have mentioned in previous articles that we applied for funding through the Local Landcare Coordinator Initiative (LLCI) funding from the State Government, with the expectation of being able to provide greater services to the community and we have been pleased with the way in which we have been able to build on this opportunity. As part of the initial outline for the program from Landcare NSW, we were encouraged to seek partnerships that would support the LLCI funding and build on the opportunity. 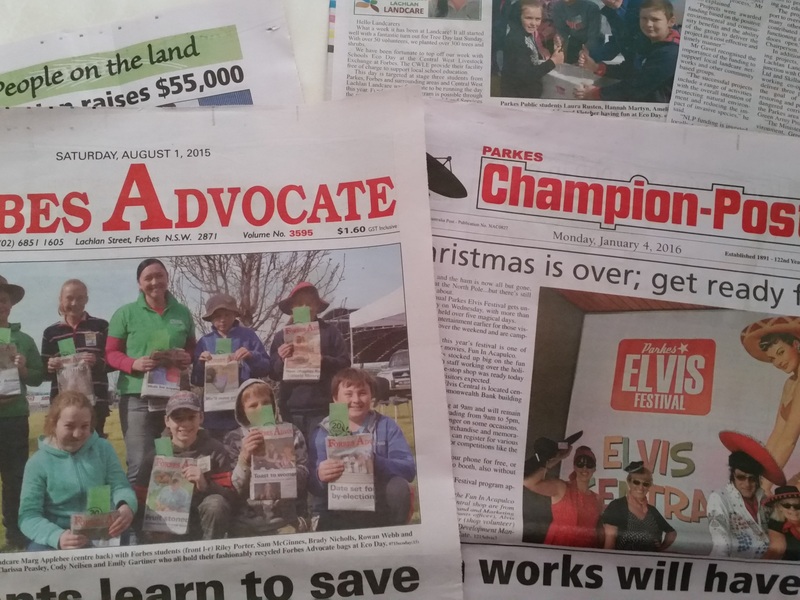 CWLL outlined to Parkes and Forbes Councils the opportunity to work together to support Landcare, and also outlined the ways in which Landcare had been, and with the coordinator funding, would be able to deliver on ground benefits to our shires. Parkes and Forbes Councils saw the potential for a strong partnership and Forbes Shire Council donated a vehicle to CWLL and Parkes Shire Council are providing $10,000 a year over three years until the end of the LLCI funding, to support the work of Landcare in the Parkes and Forbes Shires. This contribution makes a considerable difference to how we can move about our area and takes the pressure off our coordinator for private vehicle use and was achieved with the leverage that the coordinator funding provided. As a result of this support, we have supported 14 young people in three Skillset Green Army Teams over the past 18 months, partnering with Skillset Environment. We were fortunate to be recognised for our role in this partnership with an award at the Skillset Gala dinner. 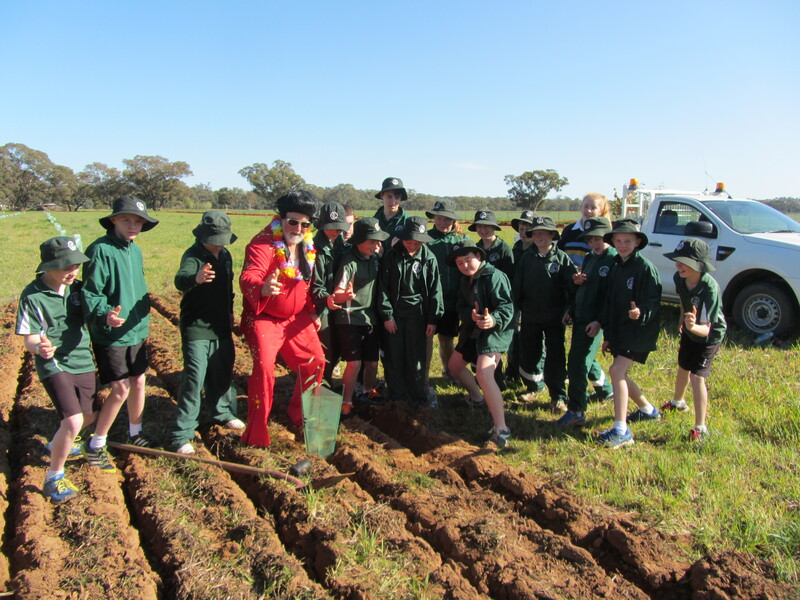 This partnership has delivered not only significant revegetation work within our shires, but has changed the lives of these young people. Moving forward, we see numerous opportunities for productive relationships between employment programs and Landcare, particularly focussed on young people. We have, and will continue to oversee regional funding through the National Landcare Programme, to 11 groups in the Central West Region, with programs that have a focus on soil health. In terms of what this has put back into the partnership between Parkes and Forbes Shire Council to support us in monetary terms, over $10,000 was spent in the local area on tools and equipment, room hire, fuel, uniforms and accommodation. Costs of engagement of 14 young people and their leader over 18 months, is in the vicinity of $180 000, the majority of which, would have been spent in our local area. In terms of what this project contributed to planting projects in the shires, approximately 17,000 native plants were planted, valued at $85 000. The majority of these were planted in corridors to promote biodiversity connectivity. All of the plants were local species forming important linkages that to sustain our unique flora and fauna in the Central West. Even though the monetary value of this projects injected back into our area was over $275 000, the value of getting young people trained and motivated is of equal value. A joint investment of $30 000 over three years and the vehicle has aided Landcare to support this input back into our communities. Central West Lachlan Landcare (CWLL) Office will be closed until 8 January 2018. I would like to wish our communities a safe and peaceful Christmas and best wishes for 2018.